Whether you are “Meisner” or “Method” or draw influence from the teachings of Stella Adler, Uta Hagen or others, you are likely studying an offshoot of Stanislavski’s work. 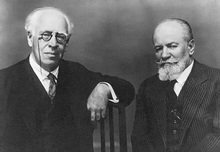 Konstantin Stanislavski was the most influential person in the history of modern acting theory. His experiences as an actor, teacher and stage director drove him to search for a system of techniques an actor could use to consistently deliver truthful performances. His work planted to seeds upon which nearly all major modern acting techniques and systems are based. He truly is the father of modern acting in the U.S. and around the world. Though he died nearly a century ago, his work lived on in the performances of some of our greatest actors. Marlon Brando, Al Pacino, James Dean, Robert DeNiro, Meryl Streep – you name it! They all have been influenced, either directly or indirectly by the work of Stanislavski. Whether you are “Meisner” or “Method” or draw influence from the teachings of Stella Adler, Uta Hagen or others, you are likely studying an offshoot of Stanislavski’s work. 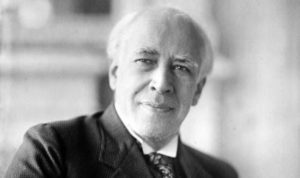 Nearly all the influential acting teachers of the 20th Century drew inspiration from the work of Konstantin Stanislavski. In fact, many of them trained under him directly. Konstantin Stanislavski was born Konstantin Sergeievich Alekseiev. 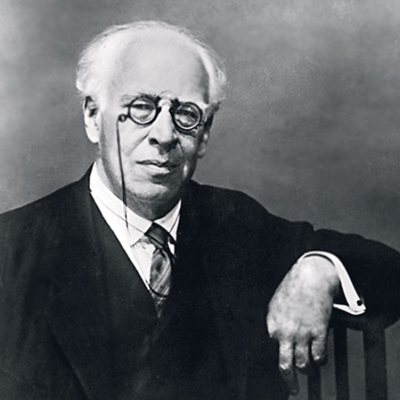 The name “Stanislavski” was actually a stage name that he derived from a retired Polish actor, in order to save his family name from embarrassment, as he performed in risqué or hastily thrown-together theater productions. By day, he worked in his family’s business as Konstantin Alekseiev. At night he would perform under his stage name Konstantin Stanislavski. The name, however, stuck, and he would continue to use and perform under the name, even after he rose to prominence. He began performing in plays at age7. He created his own circus, “Konstanzo Alekseyev’s Circus” and later a puppet theater. At the age of 14, his father, a wealthy businessman, turned a wing of their home into a theater for Stanislavski to perform his plays. The father of most modern acting techniques was, of all things, a drama school drop-out. At age 21, he dropped out of the Imperial Dramatic School of Moscow, because he was disenchanted with the techniques he was being taught and felt they deprived him of his own individuality. He also believed that the techniques being taught only addressed external methods of acting and only focused the final result, instead of focusing on methods that addressed the actor’s inner soul, as well as techniques and steps an actor could use to achieve that final result. One of the things that set Stanislavski apart from other teachers was his relentless desire to consistently deliver “truth” in his acting performances. That drive for consistency and truth led him to create what became known as the “Stanislavski System”, or, simply, “the system”. His system, a collection of acting techniques, was designed to move actors beyond physical and vocal training as a sole focus. He believed actors should also dive into the inner motives of their character to justify physical and vocal actions. He wanted to remove what he called “blocks” and master the true nature of acting. Later in his career, Stanislavski sought to bring his collection of ideas on the craft of acting into a manual called, “An Actor’s Work”. Written in a form of a fictional student’s diary, the manual had to be broken down into three volumes. One volume, An Actor Prepares, focuses on the inner life of the character. The second volume, “Building a Character”, focuses on outer characterizations that flow from the character’s inner life. The final volume, “Creating a Role”, focused mainly on the application of his techniques into the rehearsal process.